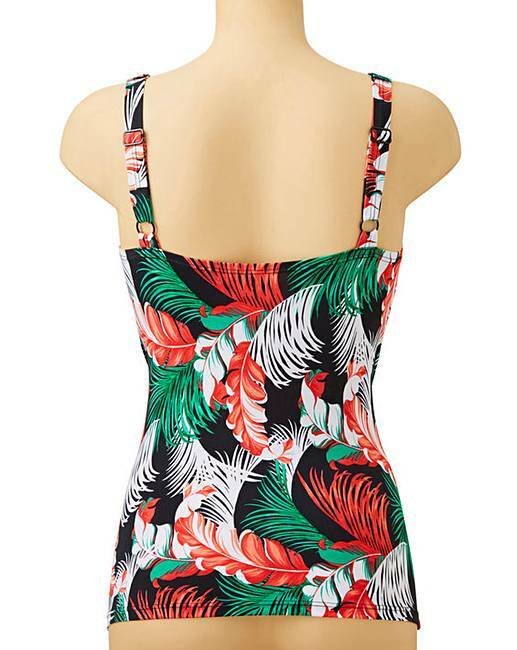 Palm Print Non Wired Padded Tankini Top is rated 5.0 out of 5 by 1. This tankini top features bow detailing to the front and moulded foam cups that offer a lightly padded support. With adjustable straps and a centre back clasp for a fit that flatters. 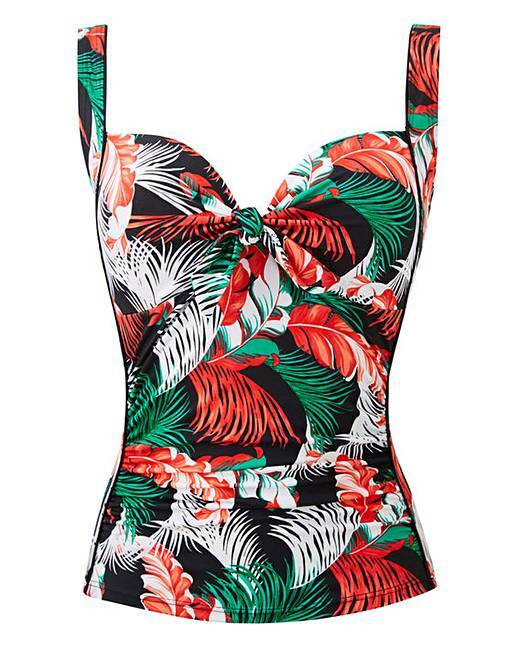 Wear with the matching bikini bottoms for sizzling style. Match with any one of our mix 'n' match bikini bottoms, shorts or skorts for the complete look. Rated 5 out of 5 by Anj1e from Colourful and comfortable This Tankini is a good length and the ruched front hides a multitude of sins. The tied bust detail can be adjusted to pull the bust into whatever shape is comfortable.